Cute baby cushions that are great for giving as a gift for parents. 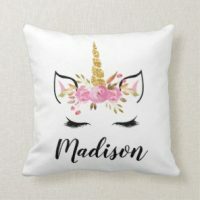 Below we have featured personalised baby cushions that you can customise with your own text and images over on Zazzle. 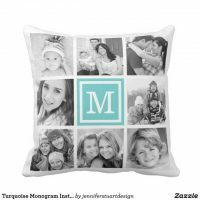 Whether you are looking for a cushion to get your babies photo printed on to to a customisable cushion to add your babies name. Zazzle offers a wide selection of customisable baby cushions that you can choose from. We have also featured a collection of nursery cushions and nursery clocks from Zazzle that are perfect for adding colour to your nursery room.